Put the Parts Together and Make Funny Faces! 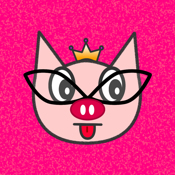 “kaowarai” is an app for children to enjoy creating funny faces. We got a hint from a traditional Japanese game. All Japanese know a traditional game called “Fukuwarai”. Blindfolded players pin different parts of the face onto a blank face and laugh at the humorous results. 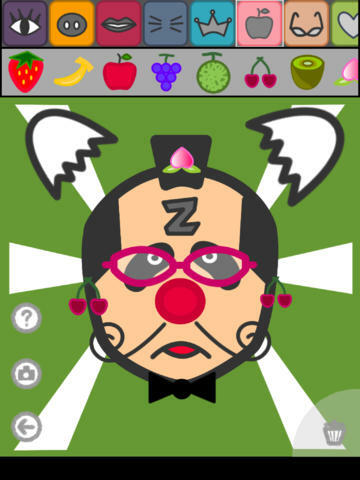 This game inspired us to create the app “kaowarai” for making funny faces just to have fun with your friends. Using “kaowarai”, children can make funny faces and show them to their parents to make them laugh. It’s very easy to play. Choose your favorite blank face and put the parts on it. That’s it. You can take photos of the faces you made. Over 100 items are FREE, and get some more with additional packages. You are able to use over 100 items FREE. Also, additional packages (free or charged) allow you to add new items which means you will never be bored. Let’s enjoy making funny faces and laugh out loud!